You Call That A Shuffle? 1 star = Why haven’t I deleted this song from my library? The answer, in many cases, is because they are skits on hip hop albums. 3 star = Background music. 4 star = This will perk my ears up; crank the volume. 5 star = Stop what you’re doing and give your undivided attention to this song. 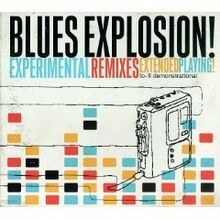 Jon Spencer Blues Explosion, Flavor Part 2 (Beck/Mike Diamond/Mario Caldato Jr. Remix) from Experimental Remixes. 4 Stars. Look at the names associated with this remix and you have a good idea what this is going to sound like. Taking the unadorned bluesy punk of JSBX and adding several layers, this easily could have been a cut that didn’t quite make it onto Mellow Gold, with the slightly echoed vocals, electronic flourishes, straightforward drum beat, and the hip hop vocal sample. A funky baseline gets added in during the last minute of the song. Madlib, Dark Alley Incidental Music, from Beat Konducta Vol. 3-4 Beat Conduct in India. 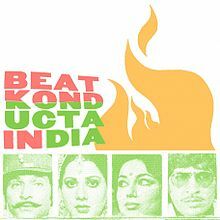 Madlib likes to take on themes with his Beat Konducta series and here, it’s Indian culture. 4 stars. This song starts with thirty seconds of dialogue from an Indian movie (TV show?) and then takes what seems to be a clipped sample of James Brown yelping to introduce a beat buoyed by bass drum and rattling tambourine. Add in a tingling sitar line that Madlib lifted from a Bollywood movie and you have a very good hip hop beat. I’d love to hear Missy Elliott rhyme over this. Massive Attack, Risingson, from Mezzanine. 4 Stars. If Massive Attack tried to do space rock, this is what I’d expect to be the output. Echoing beats and vocals that swirl among atmospheric sighs (exhortations to “dream on” meld into those sighs) and skittering cymbal hits. Brings both menace and soaring euphoria. As a remixer, if you’re presented with a song that’s already really good, there’s probably some trepidation about taking that one as a project. There’s a very good chance you’re not going to live up to the original with its fans, and with something that’s good already why mess with it. You probably have to try to do something radical to try and get people to reexamine their conception of song, which I usually find pretty bad (I’m looking in the general direction of anyone remixing Radiohead). 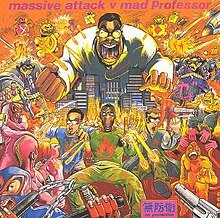 In the case of Mad Professor’s remix of Massive Attack’s Karmacoma, a standout from Attack’s excellent album Protection, he doesn’t go for a remake, he goes for an addition. As in, let’s take this spacy, dubbed-out track and let’s add on to that. Let’s make it spacier, let’s make it dubbier, way dubbier. Now this probably wasn’t a stretch for Mad Professor, as the London by way of Guyana producer is an heir to the dub throne of pioneers like Lee Perry and King Tubby. 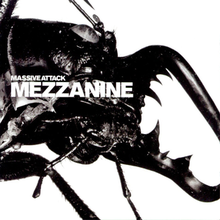 According to the little I could find about the record online, Massive Attack approached the Professor to remix a track, which then eventually morphed into asking him to remix the entire album, which he did (more or less, one album track and a live track from the original aren’t on the remix). This seems plausible, especially since the trip-hop of Massive Attack seems right in the wheelhouse for a dub producer to tackle. This remix album has got to be one of the best all-time, as every single one of the eight tracks he takes on is entirely listenable and as a whole the album is every bit as cohesive as its source material. With Karmacoma, he doesn’t wast time, taking the existing beat which is already pretty beefy, and giving it that calling-card dub echo that cascades away into nothingness and a more booming bassline. Stabs of synths, like lasers shooting through space, pierce the layer of bass. Noticeably missing are Tricky’s lyrics from the original. While they are key element of why I like the original, they are oddly not missed here. I get so lost in all the dimensions of sound in Mad Professor’s version that lyrics would take away from that feeling. Trigger Hippie – Morcheeba from Who Can You Trust? I had drafted this post a few weeks before Occupy Wall Street and its brethen began, and while there hasn’t been a lot of agreement among the protesters on what they are there for and what they want, I think this may be a song that a lot the crowd would get behind. As both the band’s and song’s name suggest, this is a pretty chilled out song. Following the blueprint created by their fellow Brits Massive Attack (including Tricky’s early solo efforts) and Portishead, Morcheeba’s first album combined dubby, languid beats with throaty vocals to create music stoners (and foes of big corporations) can munch Cheetos to (or plan tomorrow’s protest to). Better yet, put down the pipe (I’m applying this to both groups) and this song will provide you with the relaxation you may be seeking without having to leave your couch to score some more weed or head to Bank of America for a sit-in. An eastern-leaning guitar groove and some dub effects introduce the beat, which quietly lays in the background and then gives you a little “boo” around 45 seconds in as the drum kicks get louder. The chorus adds some scratching and a sampled voice proclaiming “goddamn.” But, the music continues to be a soft bed to lie in. And tucking you in with a blanket of dreamy vocals is lead singer Skye Edwards. She rolls out syllables, makes dramatic pauses, and her chorus of “love, love, love/I’m a trigger hippie/yeah” is sublime. By the end of the song you should feel relaxed and at peace with your fellow man. So hit repeat and keep the hippie trip going.